Well, that's not exactly the saying, but still, look what's blooming this Halloween! October can be kind of dreary...the leaves are falling, the skies are darkening, and the wind is howling stronger and stronger with each passing day. It's a nice time for a bright pop of color and some super-cute cheer. 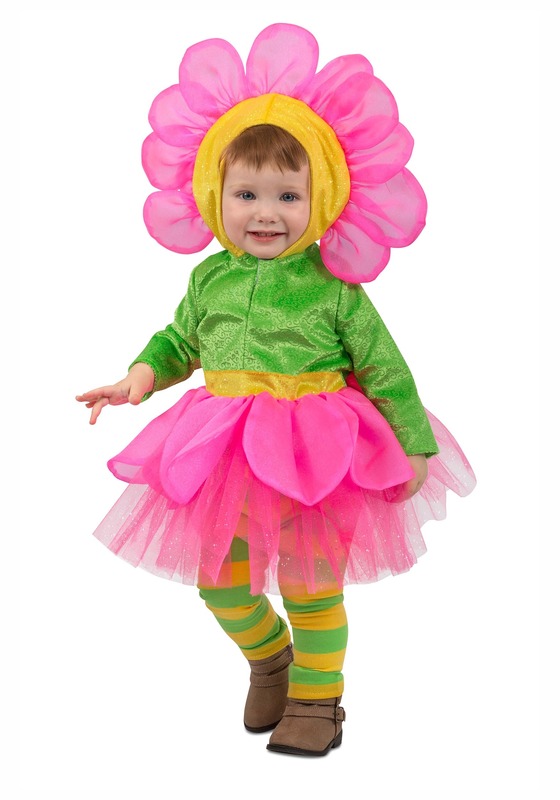 This Girl's Flower Costume for Toddlers will dim the shine on even the brightest Jack-o-lantern. It's cheerful, colorful, and totally sweet—just like your little gal! It's also bound to bring a smile to the faces of all who encounter her. And who knows? Maybe she'll grow up to have a real green thumb due to this early childhood influence! Maybe she'll become a landscape architect, or a farm-to-table chef, or design the world's coolest new rooftop green space. You know never what lasting effects a fresh and fun first memory, like this costume, will have. So skip the pumpkin tunics and vampire capes, this year. Let the witches and werewolves have their fun. 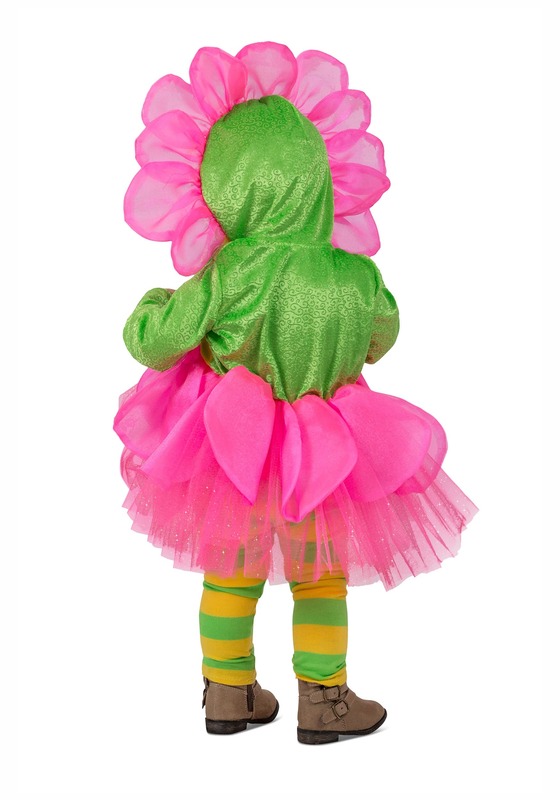 Your special kiddo deserves a unique Halloween look—and this colorful costume is just the thing to brighten an otherwise eerie trick-or-treating night!